These activities are designed to follow an inquiry-based learning approach. Students will develop their own experiment while working through the steps of the scientific method. The learning experience begins with a presentation to gain background information, followed by active research and the setup of an experiment. Finally, students perform the experiment they designed to gain better insight into a given topic. Multi-Period/ full and half day activities can be arranged by contacting us. Craters are seen on every rocky body in the solar system, but understanding their characteristics and how they form continues to be a challenging task for planetary scientists. This activity focuses on answering some of those questions using an inquiry style activity. 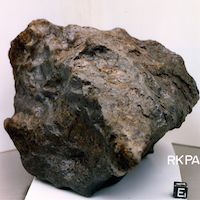 Mission meteorite is an interactive station-based activity designed to help students understand the different types of meteorites using scientific inquiry methods and questioning. Students will have the opportunity to handle real meteorite samples, use microscopy to differentiate samples, and mine their very own ‘cookie’ meteorite. If you would like us to come in your classroom and conduct this workshop, please feel free to contact us. In this workshop, students are introduced to analogue missions and their importance. The students are presented with the inner workings of the analogue mission followed by building a robot using LEGO Mindstorms EV3 and traversing a 3D martian landscape. Please note that as this workshop requires students to build a robot and learning programming to accomplish the final task, the workshop can only be conducted in form of a full day workshop (half a day is students are already aware how to use LEGO Mindstorms) and with 30 or less students. Currently, this workshop can only be conducted at Western as it involves a 8 ft x 8 ft structure which is not yet portable. Limited dates are available for this workshop, please contact us at cpsxoutreach@uwo.ca for more information. In this workshop, students will be exposed to the varying landscapes of Mars, Mercury, Moon and other planetary bodies and the space missions that have enabled us to see the surface with such great detail. We will discuss theories for the formation of different landscapes and draw comparison to landscapes and formation processes on Earth. We will close with a discussion of how an understanding of the surface of Mars motivates future exploration and where to go next. Participants are then introduced to various landscape features on Mars and using the Google Mars feature, and are tasked to select three best location on Mars as a landing site for the next rover mission. Please note: This workshop requires students to have access to a computer with the Google Mars software (available via Google Earth Pro - a free software). Topics in this theme can include presentations and activities on topics such as the Tour of the Solar System, Small Bodies, and Mars & Moon Mapping. Topics in this theme can include presentations and activities on topics such as the Impact Cratering, Rocks from Space and Mining Space. Topics in this theme can include presentations and activities on topics such as the Hazards & Challenges of Space Exploration, Mining Space and Spin-off Technologies.